Besiktas JK Istanbul used a 2-16 run in each half en route to a convincing 71-86 road win over Brose Baskets Bamberg at Stechert Arena. 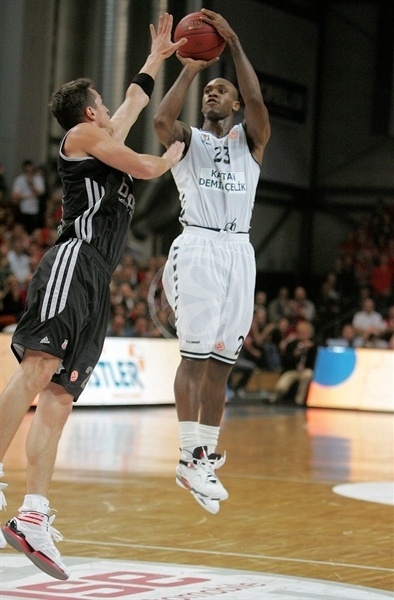 Besiktas improved to 2-0 in Group D with the win, while Bamberg fell to 0-2. 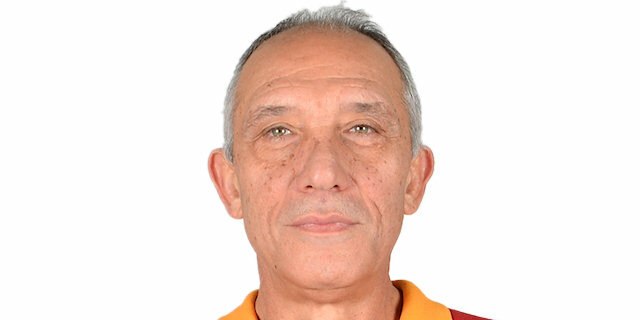 Muratcan Guler scored half the Besiktas points in the first big run, which bridged the first and second quarters and gave the Turkish champs the lead for good. It sat at 31-47 at halftime and reached 25 after the second 2-16 run at the end of the third quarter. 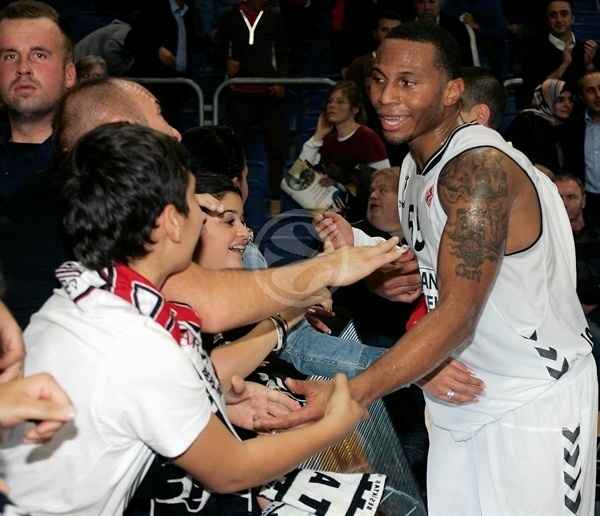 Curtis Jerrells starred for the winners, leading the attack with 27 points. Guler added 14 points and 7 rebounds and Damir Markota scored 11 for the visitors, who shot a blistering 10 of 18 (55.5%) from downtown. 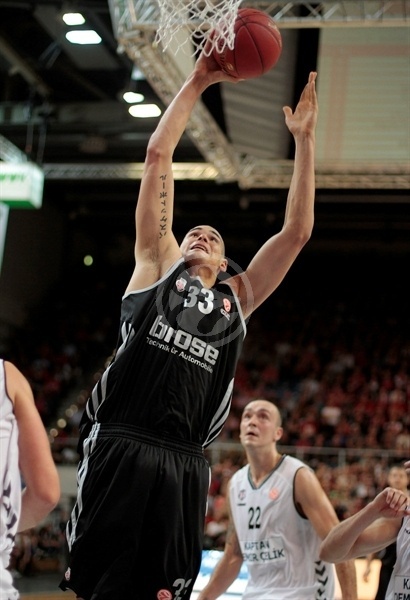 Anton Gavel paced Bamberg with 21 points and Bostjan Nachbar scored 11 in defeat. 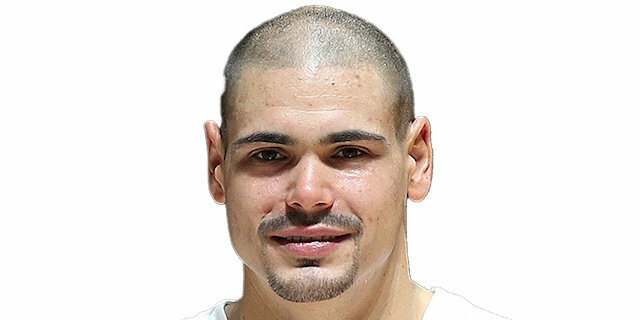 Besiktas jumped out to a 0-4 lead with an inside layup by Serhat Cetin and an outside jumper by Vladimir Dasic. Anton Gavel got Bamberg on the board with a baseline jumper. Gavel added a breakaway layup and 2 foul shots to even the game at 6-6. Besiktas’s big man combo of Gasper Vidmar and Dasic continued their strong play with an offensive rebound put-back dunk and driving layup for a 6-10 advantage. Maik Zirbes put back an offensive rebound and Sergerio Gipson got into the lane for a finger roll layup to keep Bamberg within 10-12. After a Patrick Christopher dunk, Bostjan Nachbar picked up his first points with a long jumper, which Christopher matched at the other end for a 12-16 Besiktas lead. Nachbar drove in for a layup, but again Dasic got the basket right back with a delayed break layin to make 14-18. Latavious Williams threw down a dunk and converted a three-point play to give Brose its first lead of the game at 19-18. Besiktas answered right back when Muratcan Guler nailed a triple from the left corner and Cetin drained a three from the right wing at the buzzer to give Besiktas a 19-24 lead. Neither team scored in the first two minutes of the second quarter as Brose could not solve the Besiktas zone defense and the guests struggled to get shots off before the shot clock expired. Jerrells finally scored with a triple from the right wing and then Guler converted a back door lay-up for a 19-29 lead – and a Bamberg timeout. The host side scored their first points from the foul line with two Casey Jacobsen free throws with 6:40 to play in the first half. Randal Falker’s free throws at the other end re-established a 10-point lead and another Guler triple made it 21-34. Dasic missed a chance to push the lead to 15 by missing two free throws before Gipson scored Bamberg’s first basket of the quarter – a triple with 4:39 remaining to make it a 10-point game. A subsequent steal and layup on the break by Jacobsen had Bamberg within 26-34. A timeout helped Besiktas regroup and Damir Markota and Christopher both nailed three-balls to push the lead to 14 points, 28-42. Gavel answered with a three-pointer from the corner but a Markota baseline jumper made it 31-44 before Jerrells nailed a triple just before the halftime buzzer to silence the home crowd with a 31-47 Besiktas lead going into the break. Zirbes hit inside to open the scoring in the second half and Nachbar’s free throws came on an unsportsmanlike foul on Dasic to make it 35-47. But Bamberg could not score on the subsequent possession as Zirbes was called for an offensive foul. And Besiktas’s first points followed on two Cetin’s free throws to push the lead back to 14 points. Gavel countered with a three-ball and a put-back to pull Bamberg within 40-51. But Jerrells raced past his defender for a driving layup and Vidmar and Jerrells both split a pair of free throws for a 40-55 Besiktas lead. Gavel tried to keep Bamberg in the lead with a basket but Guler nailed a jumper and Christopher drove in for a layup to increase the Besiktas advantage to 42-59 midway through the third quarter, forcing Bamberg coach Chris Fleming to call a timeout. 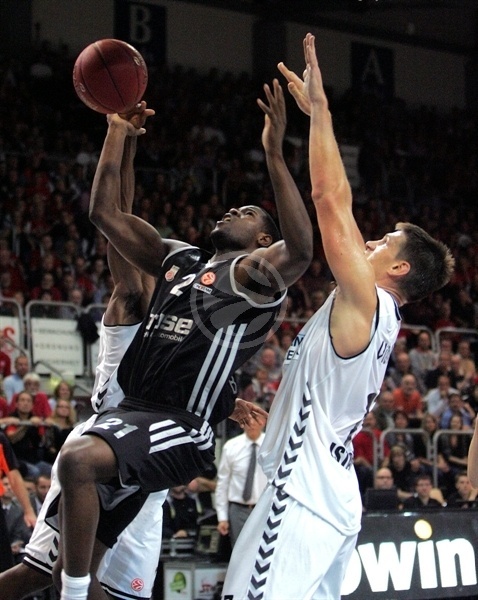 Markota and Vidmar both missed two free throws but Besiktas watched Sharrod Ford miss two from the foul line as well and Markota’s three-ball gave the Turkish club a 20-point cushion 42-62. Jerrells converted two free throws after a Gipson technical foul as the lead grew to 42-64. Markota finished off the third quarter scoring with a triple to make it 42-67. 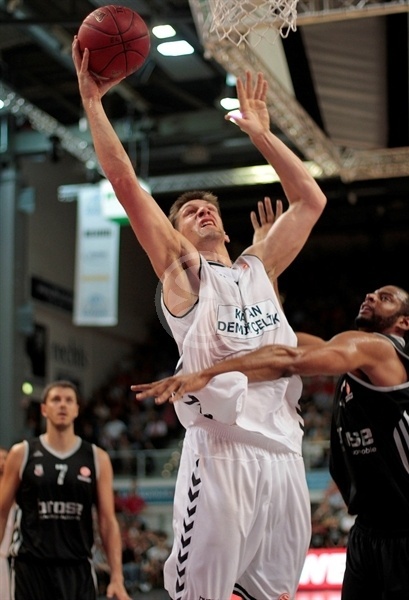 Bamberg came out with back-to-back three-balls by Karsten Tadda to trim the deficit to 48-67. 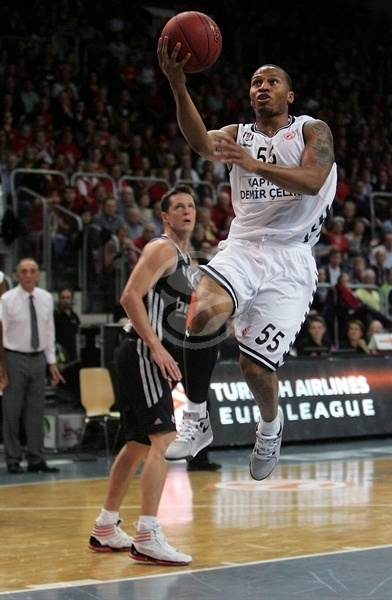 Jerrells answered with a driving layup and another Jerrells layup had Besiktas up 50-73. Nachbar and Jacobsen sandwiched two free throws around a Guler inside basket for a 54-75 scoreline halfway through the fourth quarter as the German champions tried to cut into the margin. But Guler hit a floater, Jerrells made two more free throws and Cevher Ozer came off the bench for a three-ball to make it 60-82. Bamberg worked on diminishing the damage with Gipson nailing a three, Gavel hitting a layup and Zirbes tipping in his own miss to pull within 67-82 with a minute to play. Jerrells made two more free throws and a three-ball to push his scoring total to 28. "They had a good performance. Our situation at the moment is that we are our worst enemies. We have to understand that a Euroleague game is very long and there will be a lot of chances to win. But as a team, we have to understand that on offense you have to be confident and always play tough defense. Besiktas played a good game today. But our defensive performance was absolutely unacceptable. If we want to achieve our goal in the Euroleague, then it must start on defense. I don’t know why we are in this situation, but I know the way we can get out of it. And that is defense. We are not going anywhere until we solve the pick-and-roll." "It was a very important game for both teams. This is the first time we played in the Euroleague as a team. It was a good start. In the Euroleague, every win is very big, especially if you can win on the road. It’s a perfect situation. We did a very, very good job in the second and third quarters. Only when the players understood that we had won the game in the fourth quarter was there a defensive letdown. But the defense was the key of the game. There are eight games left, but there are still a lot of things to do. We were surprised. It was easier than we expected. 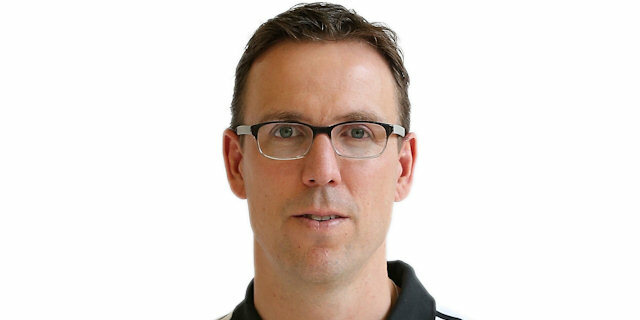 Bamberg, in my opinion, is a very dangerous team." "The first quarter was very good for us but we couldn’t keep it up. And then we had a small valley in our game and we couldn’t stop them. They also hit some big shots. We still need some more time. We will find our way. But this hurts a lot. " "We played really aggressive and had a good collective team effort. We got some big shots. This is a big win for us. Any time we can win two in a row in the Euroleague, it’s really important. Now we have to keep on working."